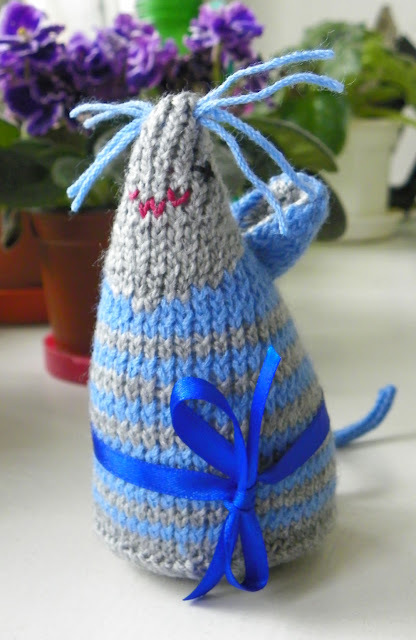 Let me introduce you my little creation - one more knitted mouse. I used the same pattern as for my previous black and white mouse here. 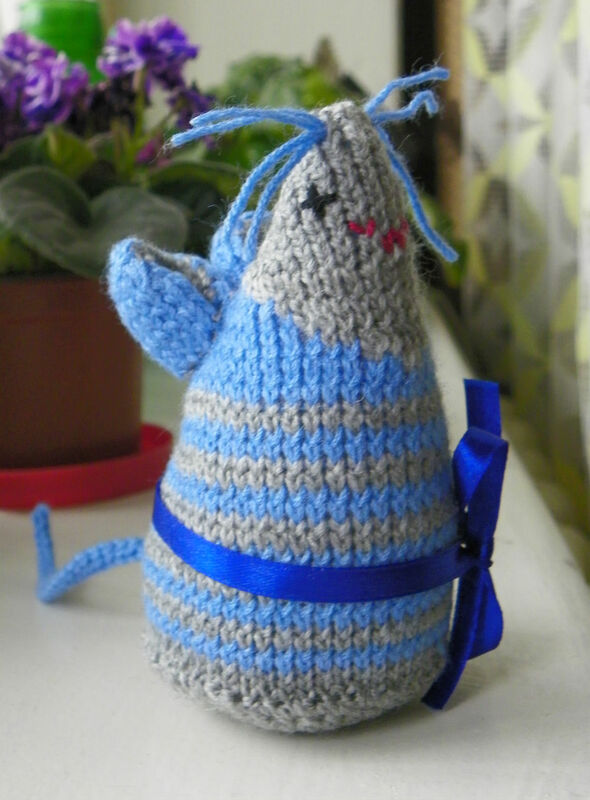 Actually some time have passed since I've finished this mouse. 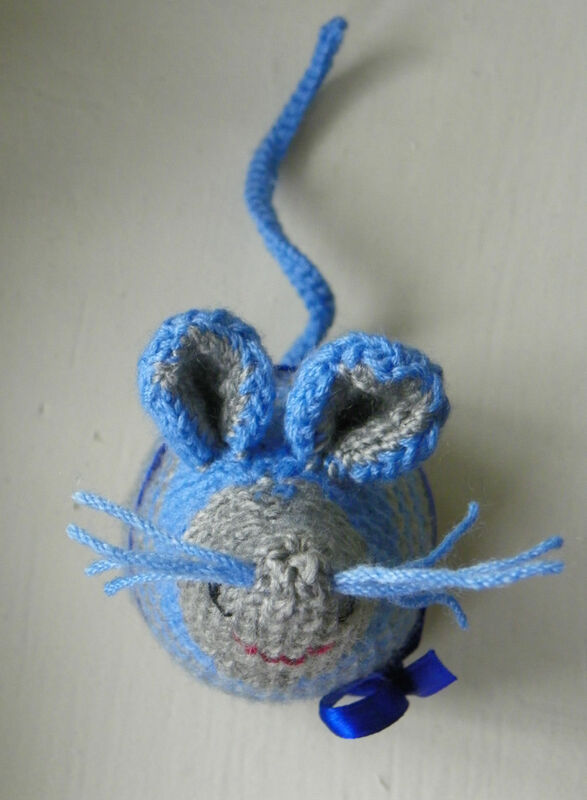 To be more specific, the mouse should be about 7 months old now. It was done as a BD present for a good friend of mine (I hope he enjoys her company :)). 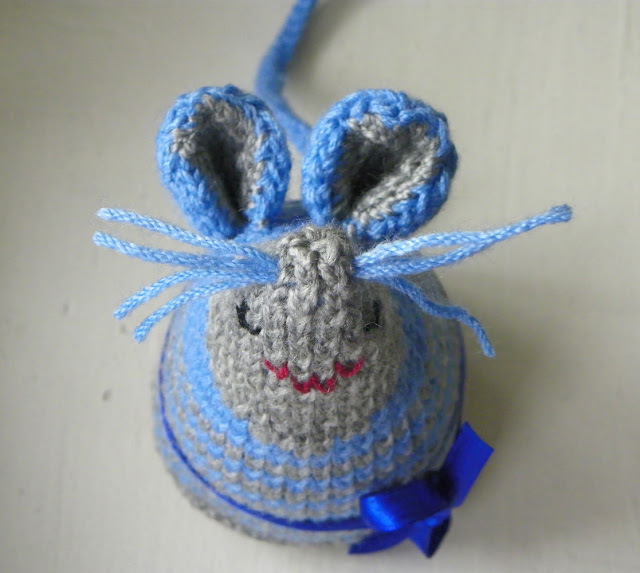 The pattern is fairly easy and quick to do and the mouse (as for me) is absolutely cute. Just look at her from the different sides. After working with this pattern for several times, I've made up few tips, that can make it a little bit easier. 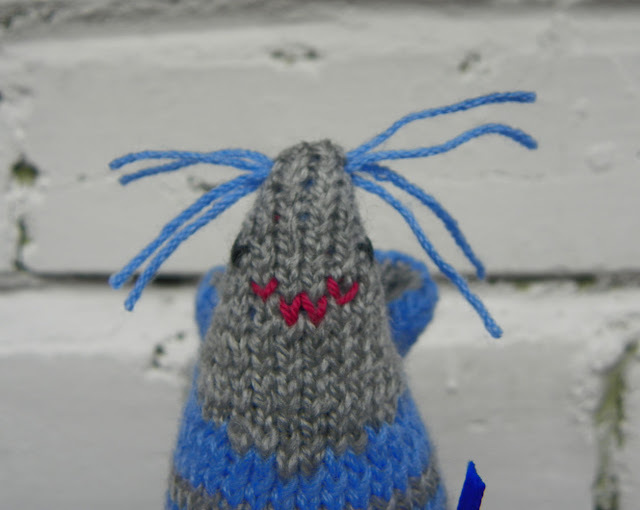 The mouth is knitted, but it can be embroidered as well, the same for eyes. Or you can use plastic/fabric/etc. ones. This is useful if you don't like switching yarn to change color while knitting, especially on narrow parts of the pattern. 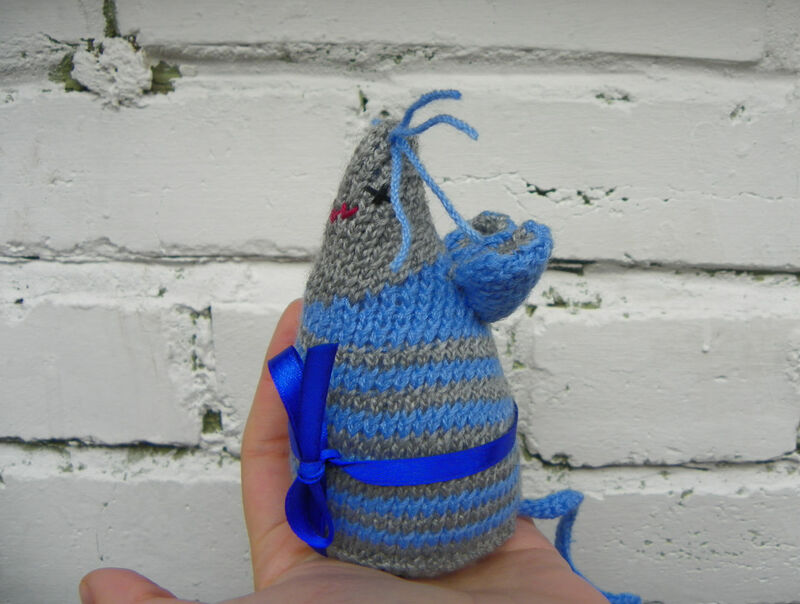 It is better to add whiskers before stuffing the mouse's body, it allows you to fix them properly, that is much harder after the body is sewed up. So you know each other now, I'm done for now. Hope you are having a good week. See you!